The BenchPrep HR Instructor Kit was created by PHR/SPHR instructors with over 20 years of teaching experience. The course design and materials are crafted around first-hand expertise and knowledge of the most effective teaching methods to ensure students pass the exam on the first try. BenchPrep HR partnered with John Newton, SPHR, a widely renowned PHR/SPHR prep course instructor at DePaul University and Northern Illinois University, to create classroom materials that meet the high expectations of seasoned certification prep instructors. 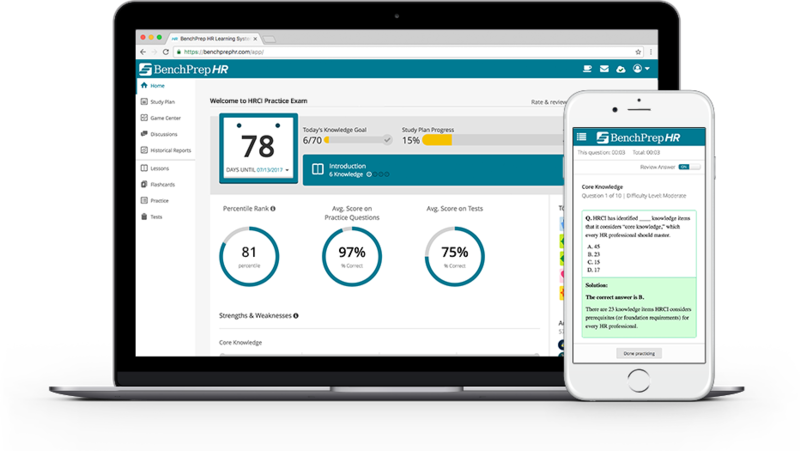 The BenchPrep HR Instructor Kit makes it easy for any HR professional to teach a PHR/SPHR prep course, even without prior teaching experience. The complete digital and print package provides you with everything you need so you don't have to spend all your time creating lessons and classroom materials. PowerPoint slides for every lesson are provided. We've also included in-class practice quizzes for all six major topics, including slides with answer explanations. Additionally, each lesson comes with a lesson guide that contains links to self-study resources for students to learn more. Every student receives full access to the #1 best-selling BenchPrep HR Learning System to continue their preparation at home and on the go. The learning system includes complete lessons on all six functional areas, over 1,300 practice questions, and an interactive game center with flash cards. 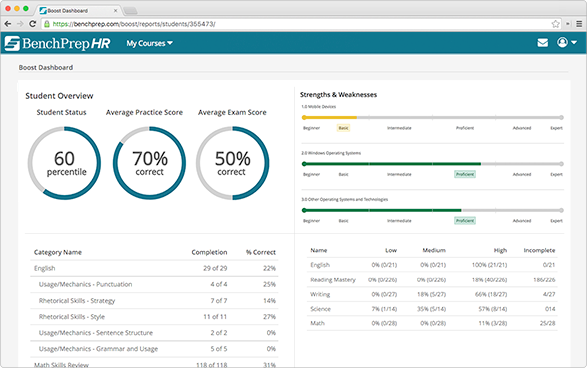 Use the online instructor dashboard to view personalized analytics for each of your students and learn their strengths and weaknesses. View and track student performance on practice quizzes and tests over time to understand which lessons are most effective and adapt your teaching style appropriately. Track student self-study lesson progress to understand which areas students need more help with.